Thorold Dickinson, director of classic films such as Gaslight and The Queen of Spades is the focus of a new book by Manchester University Press. The book is the first ever analysis of this much neglected director, and will be a treasure to fans, or those studying relevant film and media courses. 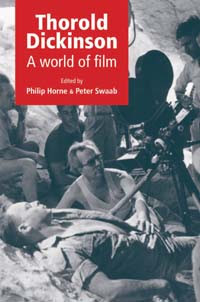 Peter Swaab, who co-edited the book with Philip Horne discusses the director in an article published in The Times this week. Read the article online for FREE. And, why not check out a new blog post on The Telegraph’s blog page by Philip Horne, focusing on the work of Thorold Dickinson. The Barbican will show The Queen of Spades and Secret People on 5 October; and Gaslight and The Arsenal Stadium Mystery on 6 October. Category: Film & Media	2,105 Comments.